We all have multiple different types of cables in our lives. Some are for laptops, or smartphones, or even tablets, whereas others are connecting devices to televisions sets and the like. With this deal, we have the opportunity to save 50-percent on a performant USB-C to HDMI cable. We think it is probably fair to suggest that not many people actually think of cables as being an “exciting” technology-based purchase. However, exciting or not, they definitely are a required purchase for a lot of people in a lot of circumstances. Most people are used to having Lightning cables for iPhone or iPad devices, or micro USB for certain Android hardware. This cable, however, is going to take the power and versatility of USB-C and mix it with the unique characteristics and use cases of High-Definitional Multimedia Interface, or HDMI as we all know it. 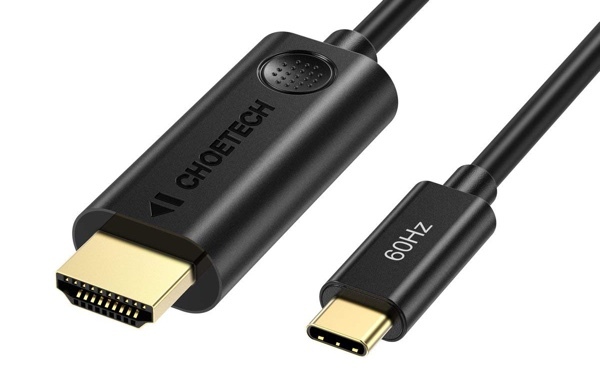 Rather than having an HDMI input from your cable box or set-top boxes like Apple TV or Fire TV, this cable is going to let you output any of your USB-C devices directly to your high-definition television set up to a 4K resolution. 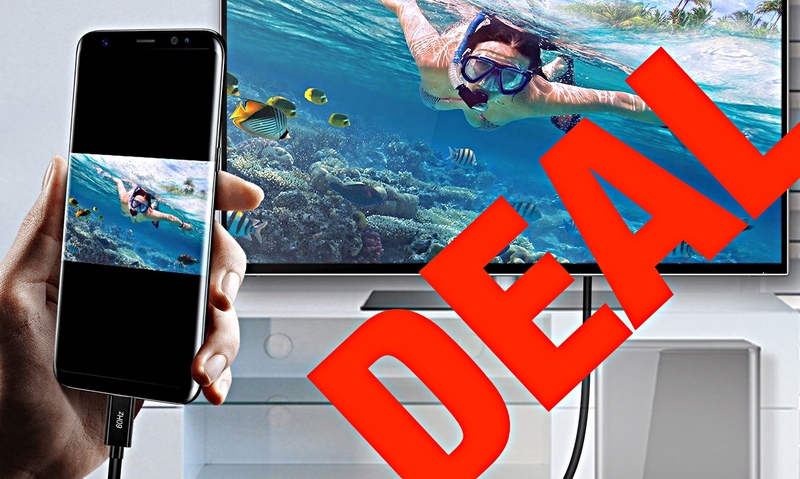 That means you could use your Android-based smartphone to play a game directly on your TV set via the tethered connection. Or, you could mirror your MacBook Pro display to your television set, or even connect an array of other laptops and desktop machines. The simple cable offers a plug-and-play experience and doesn’t need any additional software or drivers in play to actually make it work. The cable comes with a premium PVC jacket, gold-plated connectors, and a friendly anti-slip design that makes the cable as robust and as user-friendly as possible. As good as this cable is, it is slightly limited by the fact that it is only 1.8-metres in length so it could potentially be hard to use some devices with that type of length limitation but this is definitely a great cable being offered a really unbelievable price. Grab it right now while the price os heavily reduced.